Whether or not you planned for your C-section, caring for a newborn, and possibly other children, while recovering from surgery can be challenging. Managing C-section pain means thinking about a pain medication plan and staying one step ahead of situations that could slow your recovery. I was still clutching a pillow to my C-section incision each time I laughed or coughed when one of my doctors gave me some extremely useful advice about recovering from the surgery. My 23-month-old had left the room only minutes before, and we were talking about how she still couldn't climb into the car and still slept in her crib. Instead of admonishing me about lifting only a certain amount of weight at a time, he took the time to show me ways to help my daughter out of her crib, into her car seat and off the floor during a grocery store tantrum without risking my own healing. I know his advice helped me to heal quickly and easily, but I wanted some concrete advice for new moms recovering from a C-section while caring for their newborn — and any other children at home. Deborah Gilboa, M.D., is a board certified family physician with an irresistible YouTube channel focusing on helping parents with quick, simple and practical parenting advice. You can also find her on Facebook and Twitter. She shared her top tips for C-section recovery. 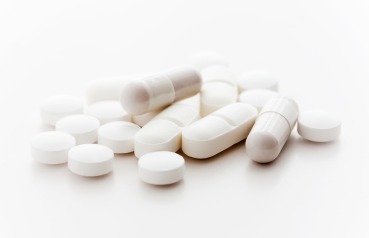 Doctor G's top tip is to stay on schedule with anti-inflammatory medications. Weaning off a narcotic painkiller is something that can be beneficial to newborns, but anti-inflammatory medications do more than help with pain. When new mothers try to “tough out” their pain, only taking anti-inflammatories when they feel sore, they lose out on the complete benefit of the medications, which work to speed internal healing. A pain management plan is crucial to surgical recovery, so every woman should work with her OB-GYN to decide when to take anti-inflammatories on an “as-needed” basis. “Don't be polite!” Doctor G insists. If you think there's something wrong, something could very well be wrong. Call your doctor — even if it's on a Saturday evening or during the Super Bowl. Doctors know when they enter the medical field that they may be interrupted at any time. They didn't name the phrase "on call” lightly. Call your doctor immediately if you're concerned with your abdominal incision. C-section recovery is one time it really does make sense to follow the instructions you were given. Definitely speak up if you are uncomfortable with your doctor's instructions, but when you agree on a recovery plan, follow it as closely as possible. You will heal more quickly and completely when you follow your pain management and C-section recovery plan. Doctor G's final thoughts^ All of the C-section recovery tips involve practicing self-care. New mothers have a tendency to focus all their time and energy on their newborns, but taking care of themselves is one of the best things they can do for their new babies.